As it’s 1st January 2014 I thought I would write a post, like last year and the year before, listing my new year’s resolutions. Looking back at last year’s resolutions I didn’t do too badly. I did become a dad. The Shell Case Shorts Anthology did get published. ODAM is still running and it’s the best fun you can have with a Skype app. We did do another #warmongers Secret Santa and it was twice the size of last year. I did paint stuff – albeit not quite as much as I’d like – and I did get some games in. I did make it to Salute 2013 and I spent an embarrassing amount of money. The areas I struggled with is sadly the area that I enjoy the most. Writing. Nothing got finished and as demands at home took their toll the site suffered. I’ve already talked about this in my New Year’s Eve but my contributors are awesome and I owe them a great deal. All this, and my wife’s ever lengthening list of resolutions got me thinking about the word behind the behind: resolve. 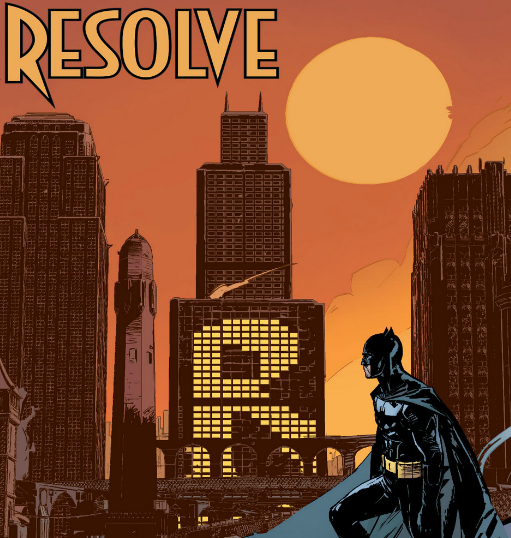 It resonated with me and not just for its poignant use in the recent Batman comics. Or, more to the point, what it means. Courage. Steadfastness. Intent. Willpower. So this year I’m not going to make too many promises. Although I can say I’ll be at Salute 2014 along with Lee, Mat & Reece and yes we will all be wearing shirts. Instead I’m going to have and show more resolve. To make this site better, improve ODAM, to do well at my new job, to be a good husband and father and to continue in the hobby that I love. And to not blink, bend or break in the process. Basically to stop having good intentions and instead have positive actions.